Landfall — Whenever a land enters the battlefield under your control, you may pay . 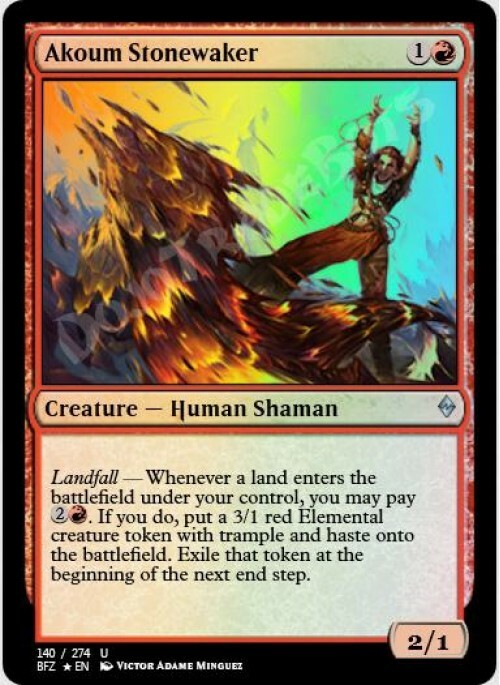 If you do, create a 3/1 red Elemental creature token with trample and haste. Exile that token at the beginning of the next end step.